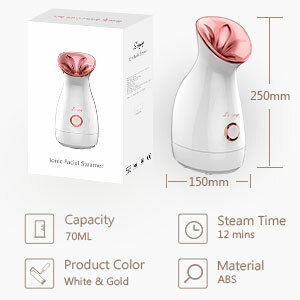 The Nano Facial Steamer uses advanced Nano Ionic Steam technology and Segmented Atomization System to generate soothing, hot-spring like waves of ionic steam particles 4,000 times finer than traditional steam to penetrate and moisturize the skin. The nano-steam not only provides you with deep and thorough cleansing experience by opening pores, but also moisturizes the skin and stimulates circulation in the face. Besides, the stylish, compact and hand-held design allows you to steam your face and keep a healthy, natural-looking complexion whenever you want and wherever you go. 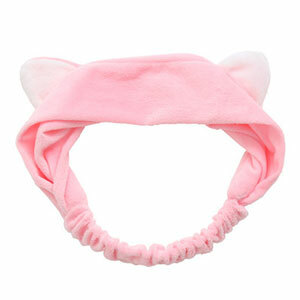 The hair band can prevent hair from scattering and covering the face, which may affect the facial steaming effect, thus ensuring your entire face to be fully steamed. The beautiful packaged is good as a gift for your famliy, friends, girl friend etc. Always remember - be gentle!----Below is the suggest steps to use this kit. 3. Gently press down on one side of the blackhead - move the tool across the top (think of spreading icing on a cake...ew!) - a lot of people think the loop is there to press straight down on top.But the best way to use it is to create gentle pressure from one side, and ease it out.This forces the blockage out as .you move the tool over the top. 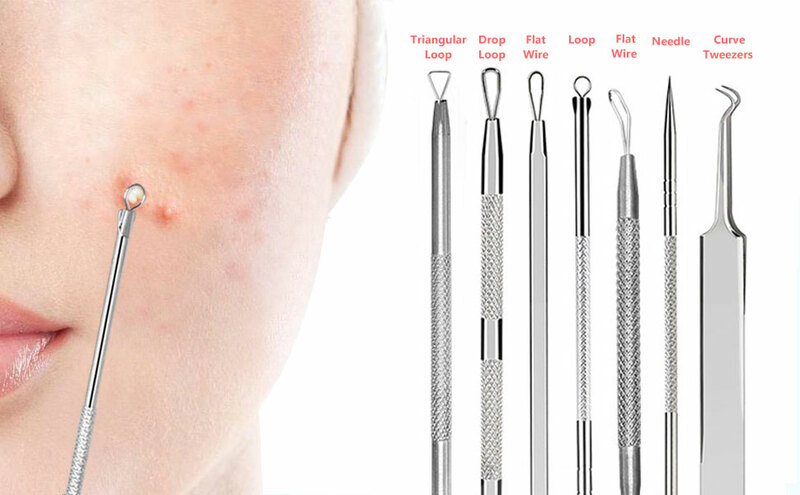 6.For using the extractor for nose blackheads, you will need to adjust the angle.You might not be able to get the whole loop over blockages right in the side of your nose. Instead, use the edge of the loop and ease it out, again 'scraping' across the top.